What are they thinking putting a woman up there? 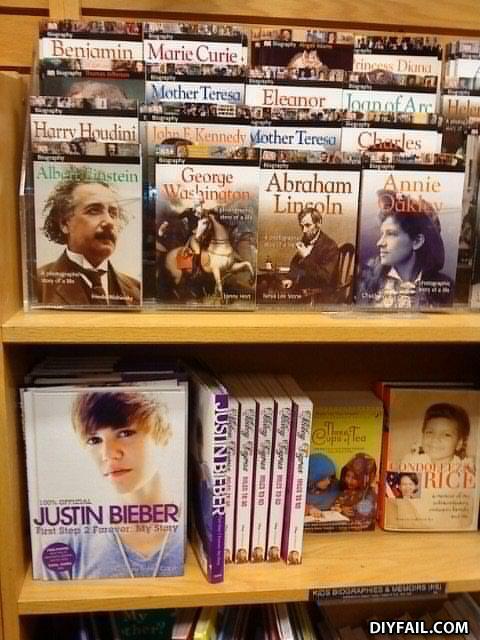 It's Justin Bieber's new book - "Why I'm hated in some place called 'germ-a-knee'"
♪ One of these things... is not like the others ♫... one of these things...♪ doesn't belong. Condoleezza Rice sells more than Beiber. I have a feeling all Mother Teresa would not approve. A pile of dead, mixed-race babies.